Collaborators and owners of PRINTtEXT talk about work, life, and building a community in Indianapolis. Benjamin and Janneane Blevins have led a number of ventures focused on civics & culture in Indianapolis. Beginning with IndySpectator in 2010, they collaborated with fellow young, creative professionals on a weekly newsletter guide exploring the cultural happenings of Indianapolis. In 2011, Benjamin and Janneane co-founded PATTERN, developing a monthly meetup and magazine to connect and promote the fashion community in Indianapolis. During these projects Janneane worked 8 years as a Community Manager at Studio Science, and Benjamin developed content strategies for groups such as IndyHub and Big Car. 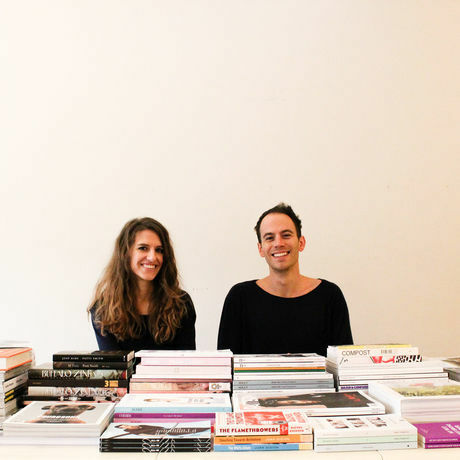 Following their INDYxPARIS project in 2013, Benjamin and Janneane opened up PRINTtEXT, a periodicals shop, salon, archive and study located at 52nd & College. They carry periodicals focused on design, culture, art, fashion, food, travel, literature, politics, etc — and spend their days designing and photographing sets for the shop’s periodicals and other clients. Additionally, they use the PRINTtEXT space to host readings, discussion groups, launch events and collaborate with cultural organizations.